The transplantation of organs such as the heart, kidney, and lungs is an important means of replacing seriously damaged or diseased body parts. However, a transplanted organ may fail if the recipients immune system mounts a response to it. Transplant patients are usually prescribed a life-long course of immunosuppressive medication, but these drugs can have adverse effects, including increased risk of infection and cancer. Written and edited by experts in the field, this collection from Cold Spring Harbor Perspectives in Medicine provides a current and comprehensive review of the molecular mechanisms behind graft rejection and how they may be overcome. Contributors discuss immunosuppressive drug therapies and tolerance induction strategies, including the use of regulatory T cells, mesenchymal stromal cells, and lymphodepletion. They describe how mouse and non-human primate models have been used to gain insight into the immunobiology of transplantation and to test therapeutic approaches. Clinical considerations, such as donor selection, organ preservation, surgery, and post-operative care, are also covered. 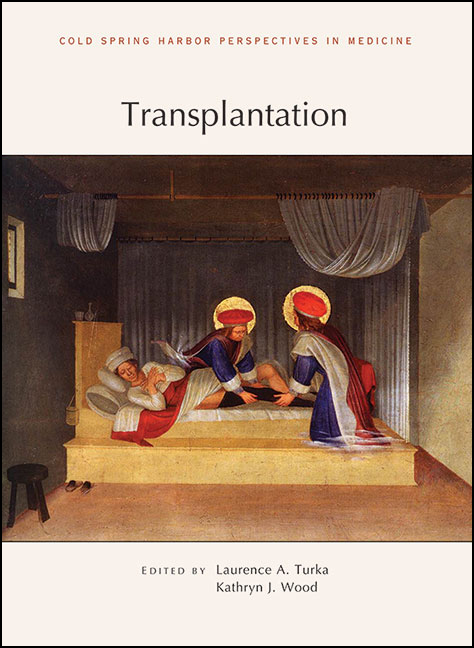 This volume includes discussion of the emerging field of regenerative medicine and the bioethical issues surrounding organ transplantation, and provides historical background to the field. It is an essential reference for immunologists, pharmacologists, clinicians, and all who are working to improve this remarkable medical procedure. Why is Organ Transplantation Clinically Important? Opportunistic InfectionsComing to the Limits of Immunosuppression? Will Regenerative Medicine Replace Transplantation?